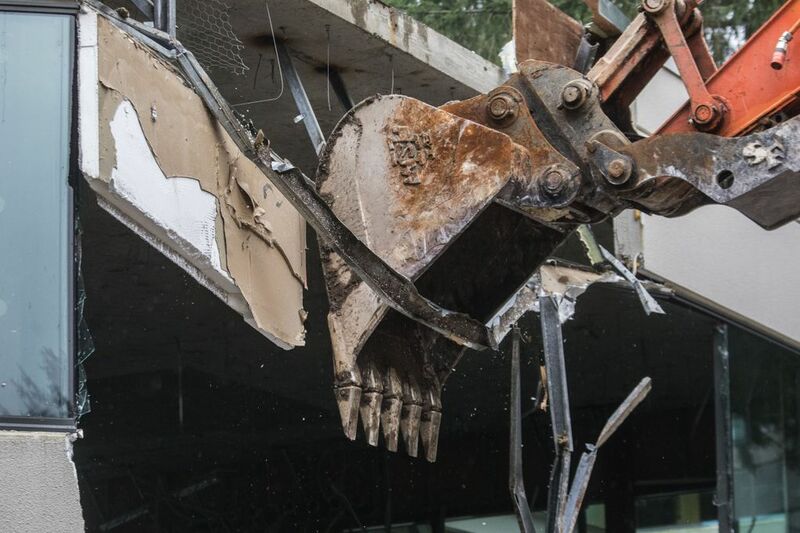 Microsoft software engineers tried their hand operating some heavy-duty hardware on the company’s Redmond campus Tuesday, using an excavator to start tearing down a building as the company kicked off the demolition phase of its campus-modernization project. “I was so super-excited last night I could barely sleep,” Whilden later told co-workers, describing his stint on the excavator. 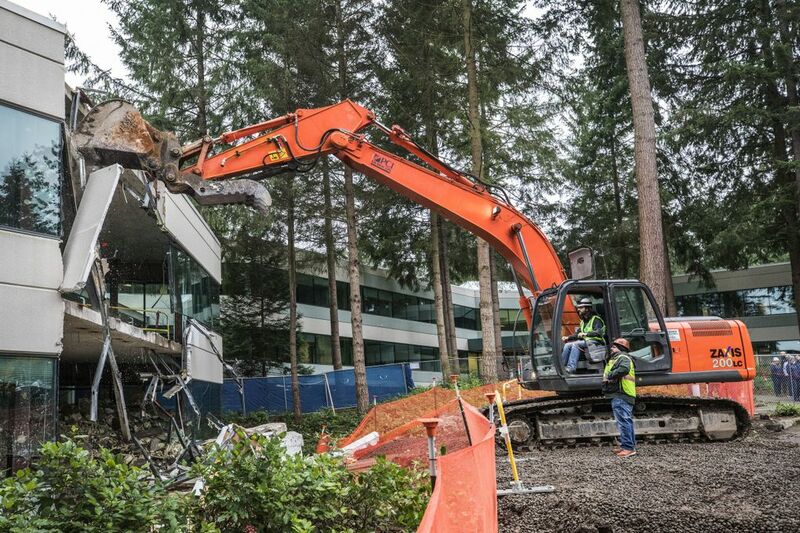 Over the next few months, Microsoft will knock down 12 buildings on its campus dating back to the 1980s and replace them with 17 new ones over the next several years. More than 30 existing buildings also are being renovated and updated to make them feel more open and modern. 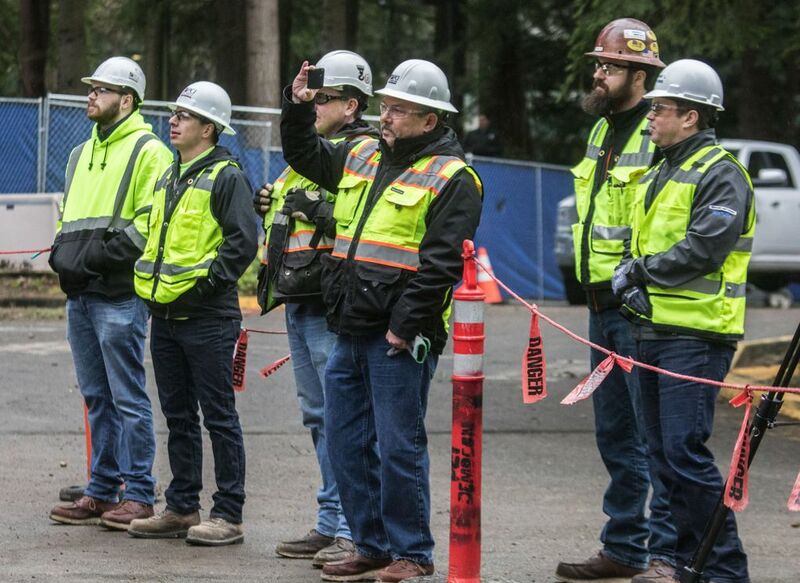 One of the most visible changes will be moving parking underground in the part of campus being most heavily remodeled, which lies east of Highway 520. That will make room for more common space, including a cricket pitch and soccer fields. 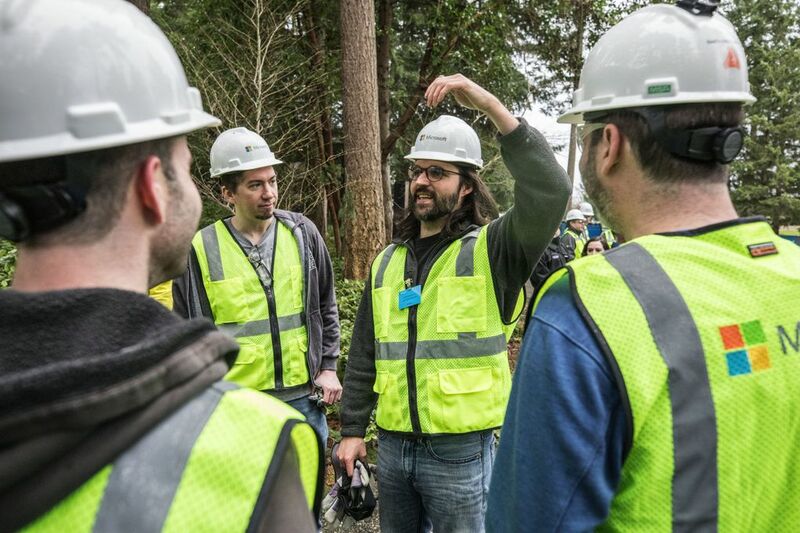 Microsoft is also updating the outdoors areas on its campus — notably with a few treehouse conference rooms on the east campus. And some walkways and sitting areas will be improved. 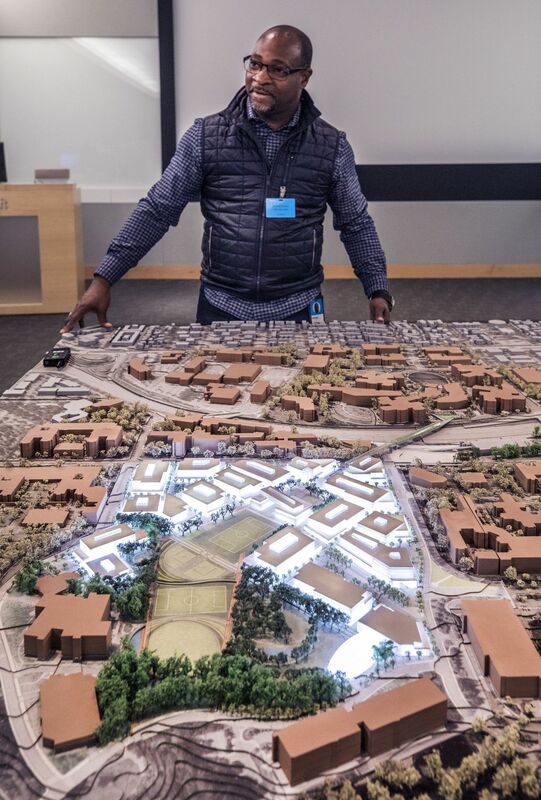 The nine X-shaped buildings that made up much of Microsoft’s original Redmond campus will come down. The X or starlike shape of the buildings allowed more people to have offices with windows. Over time, however, the trend in office space has changed, moving toward open plans. That open trend might not last forever, at least not in the same form. With that in mind, the new buildings are being built with floor plates that can be easily redesigned as trends shift. The entire campus remodel is expected to be completed in the next four to six years. Information from Seattle Times technology reporter Rachel Lerman is included in this report.